The in-state beer selection in Lower Alabama has gotten even better recently with the addition of Trim Tab Brewing Co. to taps and shelves. 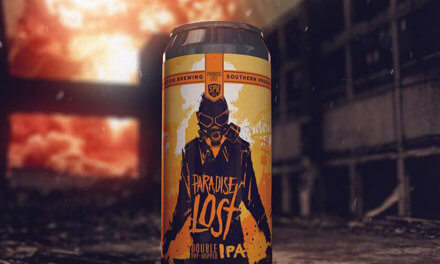 The Birmingham brewery, which celebrated its second anniversary last weekend, has undergone a major expansion over the last year which has provided the capacity to expand to South Alabama and the Florida Panhandle. Two Trim Tab beers, IPA and Pillar to Post Rye Brown Ale, are available in 12-ounce cans, while Paradise Now, a raspberry Berliner Weisse, is available only on draft for now. Trim Tab is now the 11th Alabama brewery distributing its beers locally. 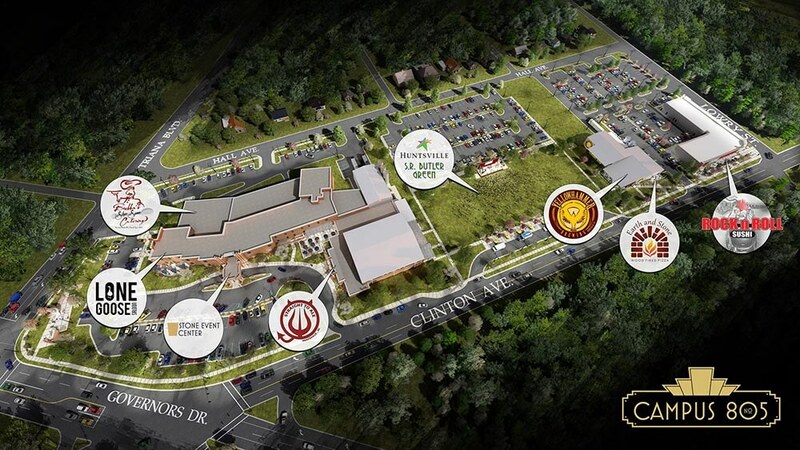 The epicenter of brewing in Huntsville is starting to take shape at Campus No. 805. Yellowhammer Brewing Co. has already moved into the former middle school, and with the delivery of a new Premier Stainless brewhouse this past weekend, Straight to Ale Brewing Co. took a huge step closer to calling Campus 805 home. 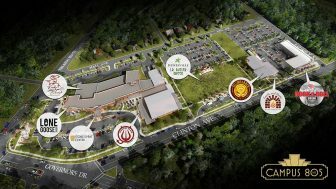 When completed, the development on the site of the former Stone Middle School in Huntsville will house Yellowhammer, Straight to Ale and Sweet Liberty BYO Homebrew Supplies, making it a go-to spot for North Alabama beer lovers. In addition to the beer-centric attractions, the complex is currently home to the Lone Goose Saloon, Stone Wood Fired Pizza, Bubba’s Silver Spoon Catering and the Stone Event Center. Ronnie Raygun’s Arcade and Rock and Roll Sushi are also planned for the development. Fairhope Brewing Co.’s beloved bearded brewer, Tim Heath, will be leaving at the end of the year and the search is on for his replacement, the company recently announced on its website. Heath, a Georgia native who sports what is likely the most epic beard on the Eastern Shore, has been at the helm in Fairhope since June. He will be leaving to settle down with his fiancee, Sara, later this year. According to the brewery, previous commercial brewing experience and a love of Patrick Swayze movies are required of all applicants. For more information visit www.fairhopebrewing.com. 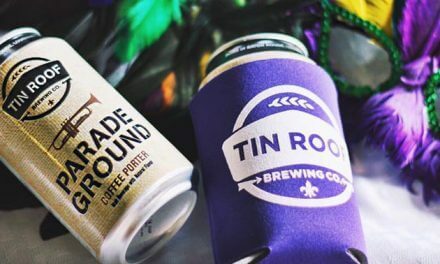 Abita Brewing Co. recently introduced its newest flagship beer, Big Easy IPA, and the Louisiana brewery is celebrating its arrival with a pub crawl along Dauphin Street on April 20. The pub crawl is free and takes place April 20 from 6-10 p.m., with stops at LoDa Bier Garten, The Brickyard, Hayley’s, Heroes and O’Daly’s. Abita recently discontinued Jockamo IPA and Restoration Pale Ale in favor of Wrought Iron IPA and Big Easy IPA, respectively. The changes reflect an overall shift at the Abita Springs brewery toward more popular West Coast-style, hop-forward beers. It’s not just the flavors that are changing at Abita, which celebrates its 30th anniversary this year. Newly designed packaging, which reflects the brewery’s Louisiana roots with its colorful new artwork, is rolling out across Abita’s full line of beers and is already evident on store shelves. Dan Murphy is a Certified Cicerone® and the founding brewer at Fairhope Brewing Co. Follow him on Instagram @Grand_Krewe and on Twitter @Beer_Man_Dan. Let the good beer flow!